With an Alkota Parts Washer, you’ll be able to save time and money by cleaning your parts in just minutes. It’s as easy as operating a microwave oven! Simply put your parts in the washer, close the door and set the timer. In just a few, short minutes come back to sparkling, oil free parts. Our washers operate with hot water and biodegradable detergents. This eliminates the need for damaging solvents and aerosol cleaners. And no more worrying about disposal problems. 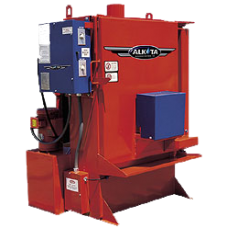 Alkota Parts Washers are good for the environment and your bottom line!